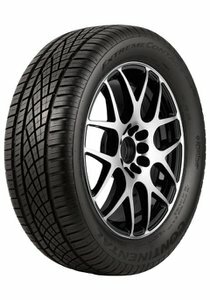 Exceptional ultra-high performance all-season tire tuned for drivers seeking extreme grip in dry, wet and snow conditions with superior tread life and comfort. Tuned for ultra-high performance drivers seeking extreme grip in wet and snow conditions. 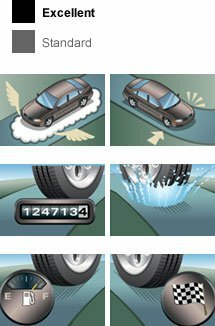 QuickView Indicators visually inform drivers to the level tires are performing in dry, we and snow conditions. The Pep Boys say "Check out our wide selection of wheels to get the ultimate look. If you're not sure of your tire size, we offer a tire size calculator for your convenience."